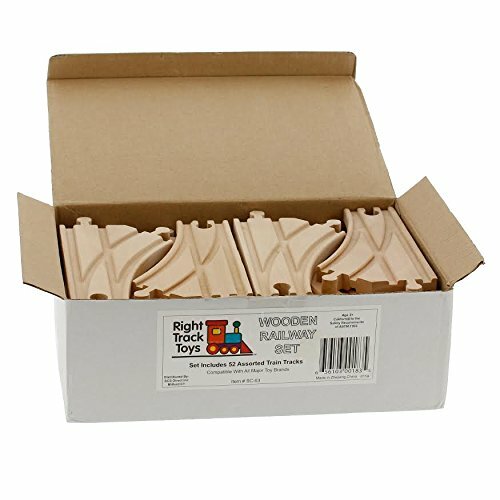 Right Track Toys makes you the conductor as you expand your train collection easily and cost-effectively. 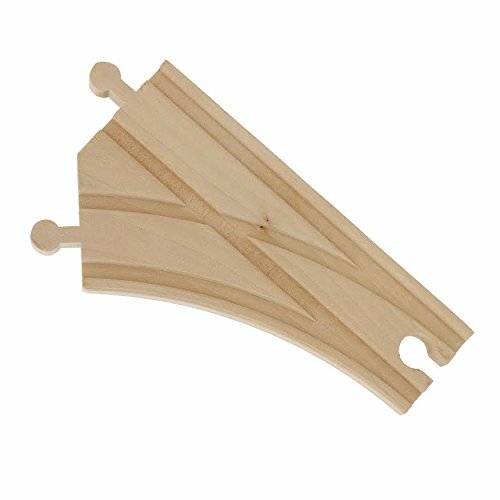 These premium wood train tracks are ready for you and your family's railroad adventures. With Right Track Toys, there is no limit to what you can build. Hop on board and use Right Track Toys with all major brands such as Thomas & Friends, Brio and more at only a fraction of the price. Don't spend extra on name brand train track collections, Right Track gives you more track for less money. 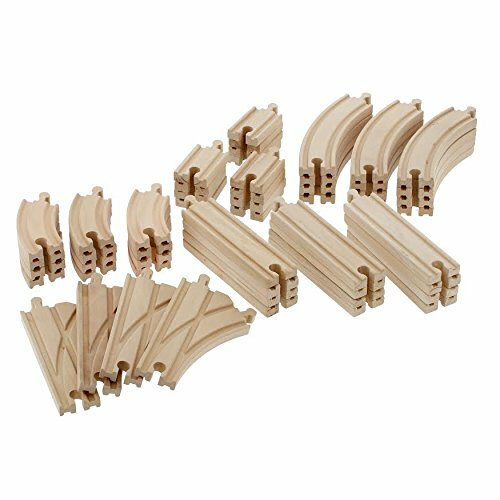 This 52 Piece Set contains the following: 12 2" Straight Track, 12 3.5" Curved Track, 12 6" Straight Track, 12 6" Curved Track, 4 Curved Switch Track. Grab your railroad hat and gather your little conductors; your ticket is punched for hours of fun with Right Track Toys.